We've managed to get our hands on some fantastic UK property market data. 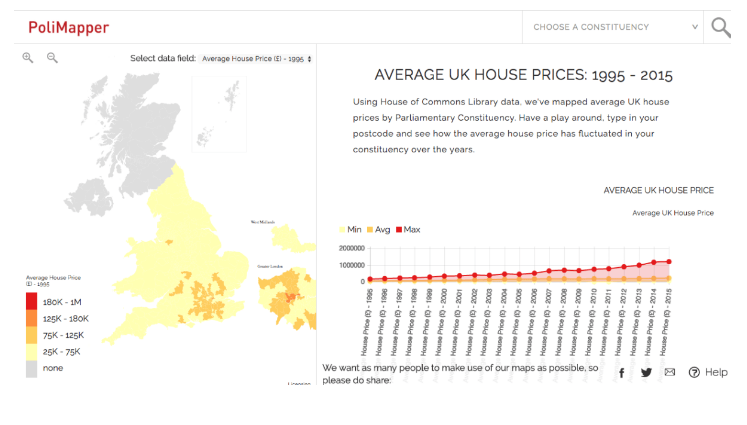 Using the House of Commons Library's data resources, we've mapped average house prices across the UK by Parliamentary Constituency. The data available to us reaches as far back as 1995, giving you a 20 year period to examine market fluctuations across the country. Have a play around with data, using our interactive map. It'll allow you to see how the average house price has fluctuated in your constituency over the years.